Wish I was back here, but I will be spending the day with family at home. I hope that everyone has a wonderful and safe 4th of July celebration. How will you be celebrating today? Happy 4th of July! Wish I was there too!! 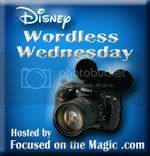 Thanks for sharing and for linking up to The Disney Wordless Wednesday Blog Hop! That would be a great place to celebrate. Happy 4th of July! Looks so inviting! Happy 4th to you! Enjoy your 4th of July with your family!! I can see myself in that chair. Happy 4th everyone! What an awesome place to spend the 4th of July. If only we were all there other than being home =) I hope your 4th of July celeberations were great too.